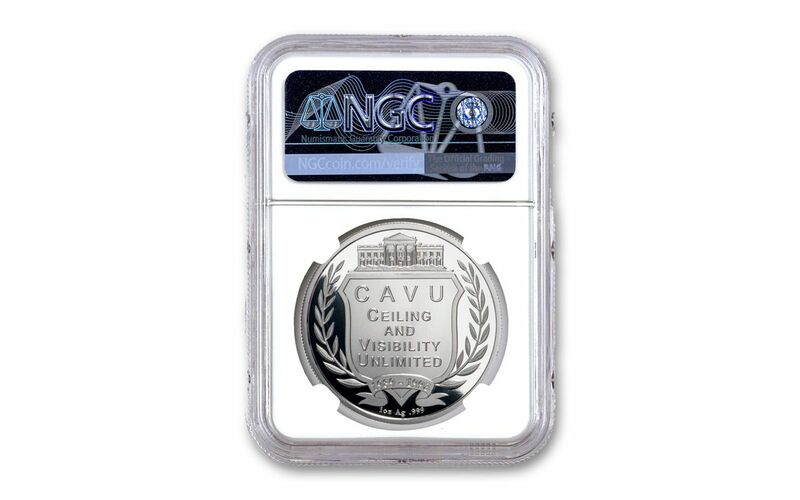 Not only does this limited-edition commemorative come struck in one ounce of 99.9% fine silver, it has also been graded by the Numismatic Guaranty Corporation (NGC) as being in near-perfect Proof-69 Ultra Cameo (PF69UC) condition, a distinction that means your almost-flawless coin will showcase an impressive full strike and indistinguishable imperfections – well above and beyond the quality of the vast majority of coins in the series. No more than 2,500 of these magnificent proofs will ever be struck, so don’t delay – order yours now before these historic proofs are history! 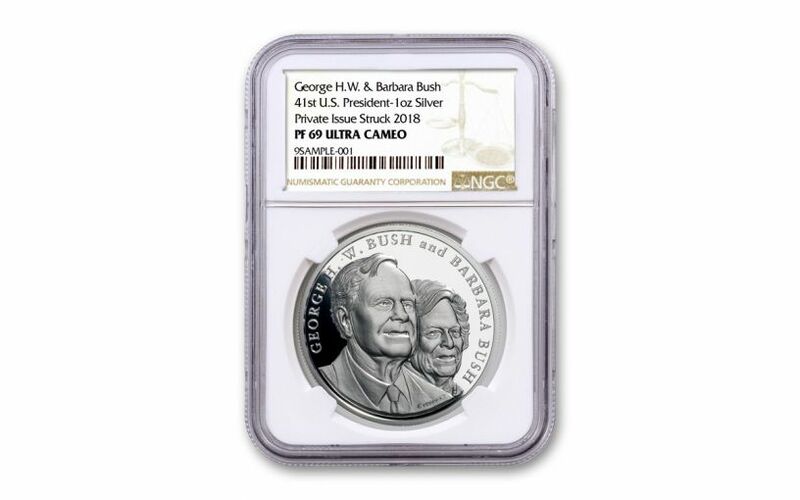 GRADED IN NEAR-PERFECT PROOF CONDITION – Your George & Barbara Bush One-Ounce Silver Commemorative Medal has been graded by the Numismatic Guaranty Corporation (NGC) as being in near-perfect Proof-69 Ultra Cameo (PF69UC) condition, a distinction that means your almost-flawless coin will showcase an impressive full strike and indistinguishable imperfections – well above and beyond the quality of the vast majority of coins in the series.